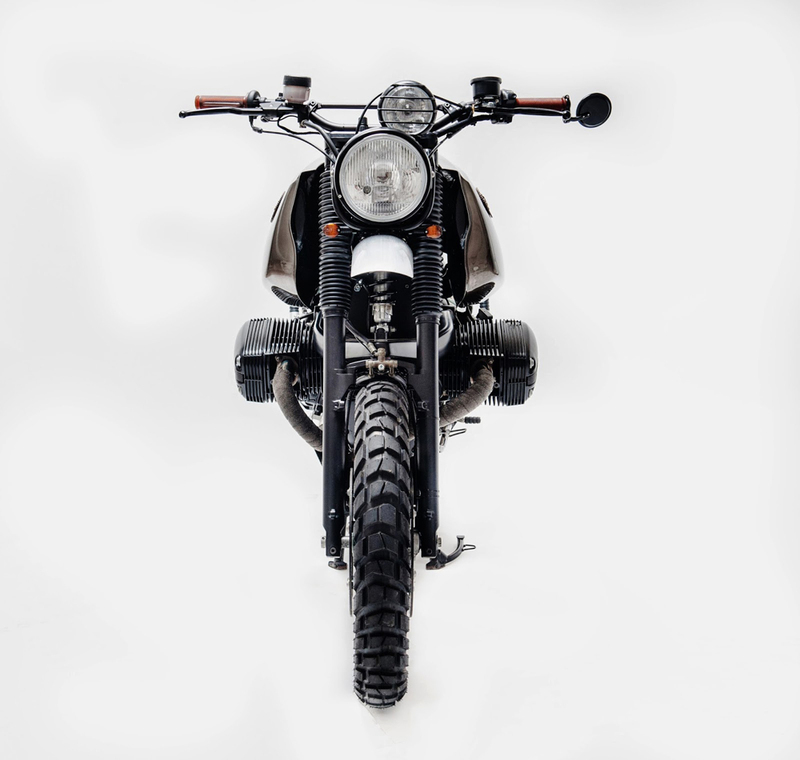 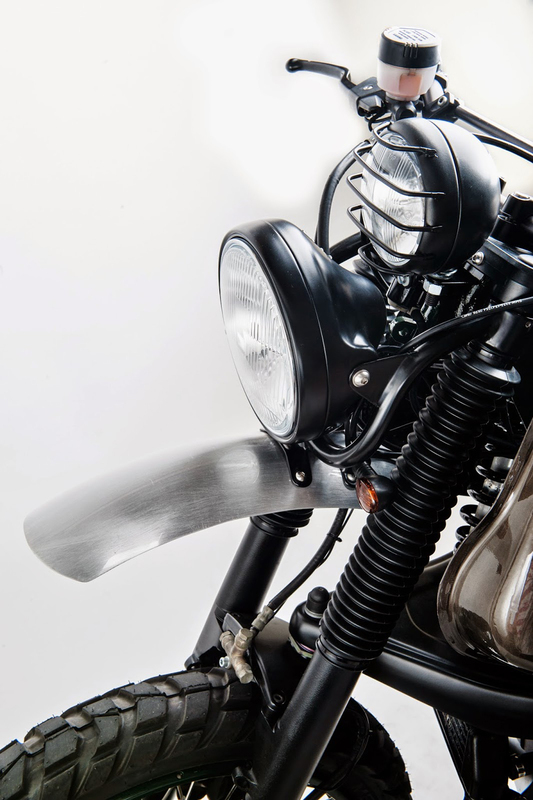 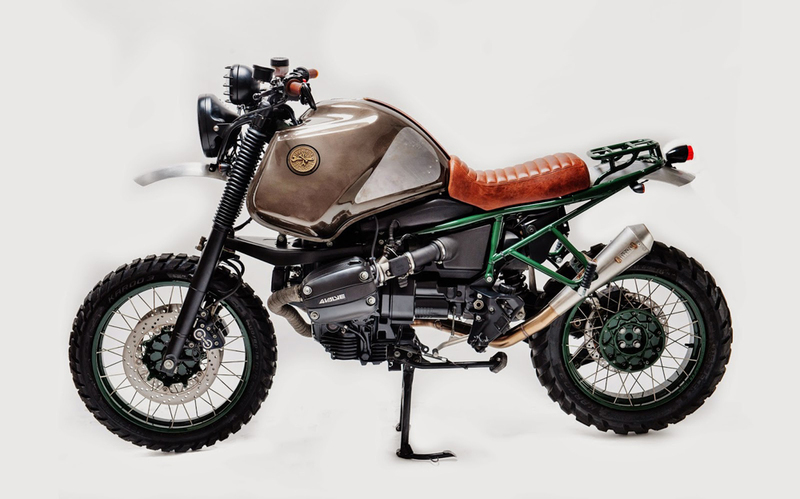 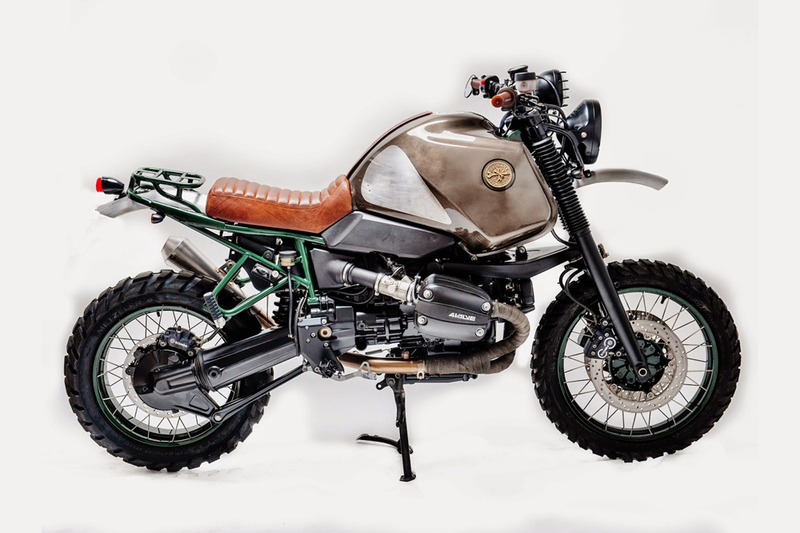 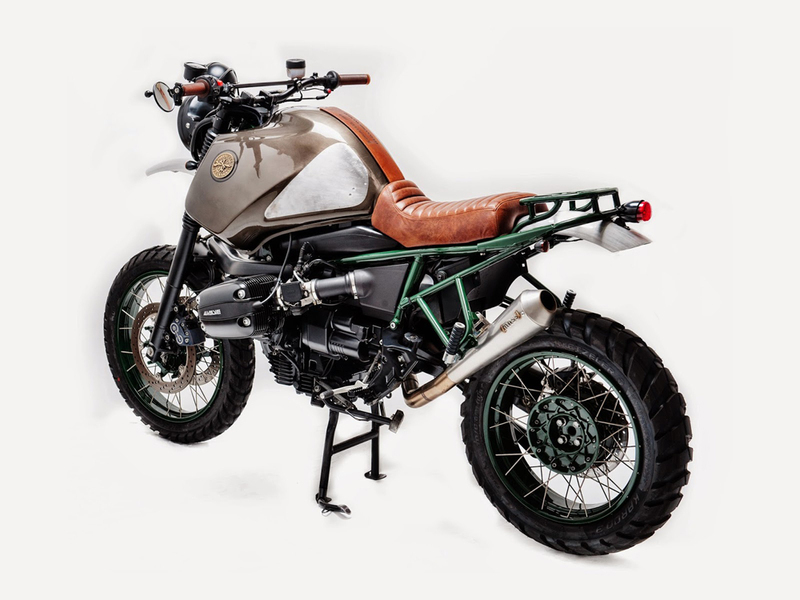 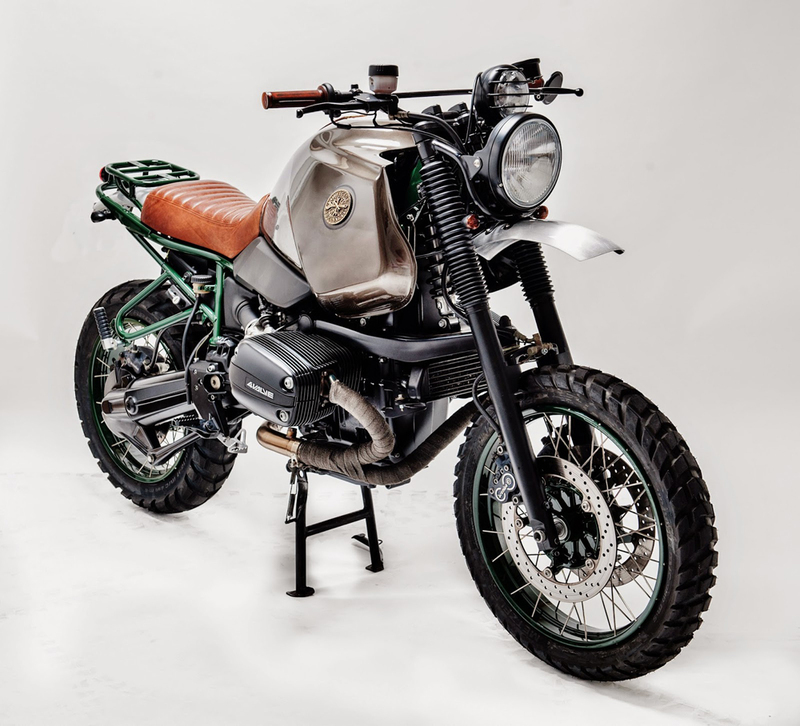 Buldozzer is a BMW R1100GS build by the Italian workshop Officine Sbrannetti. 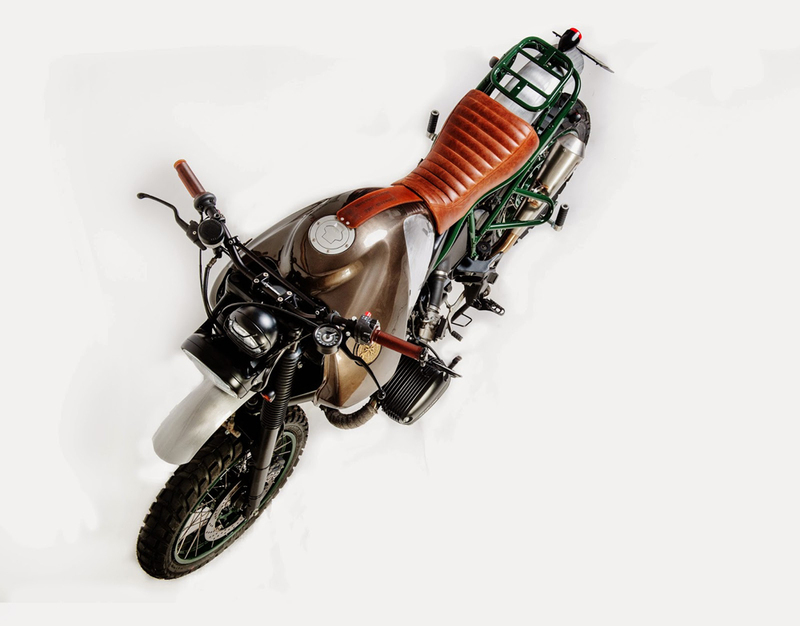 The motorcycle rocks a new, custom-made leather seating and tank cover, aluminum fenders, a double headlamp, threaded tires, a fresh exhaust system, and a handy luggage rack. 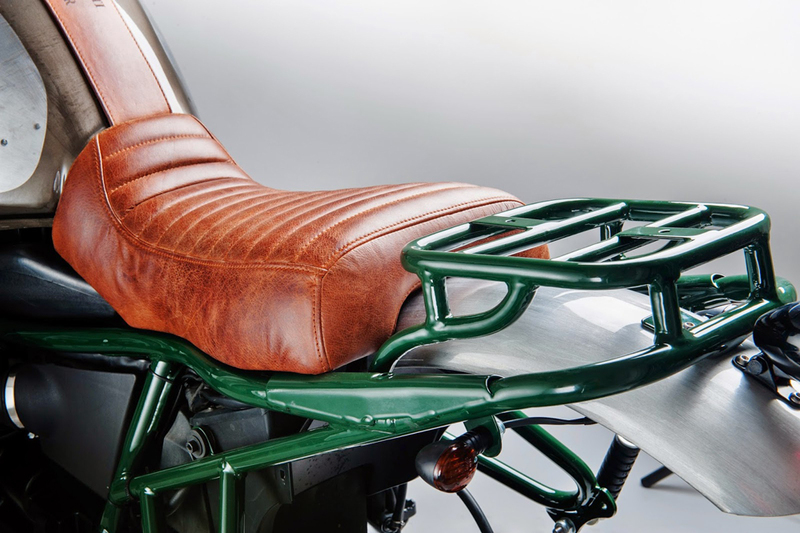 The radiator was also moved behind the front wheel for a sleeker look. 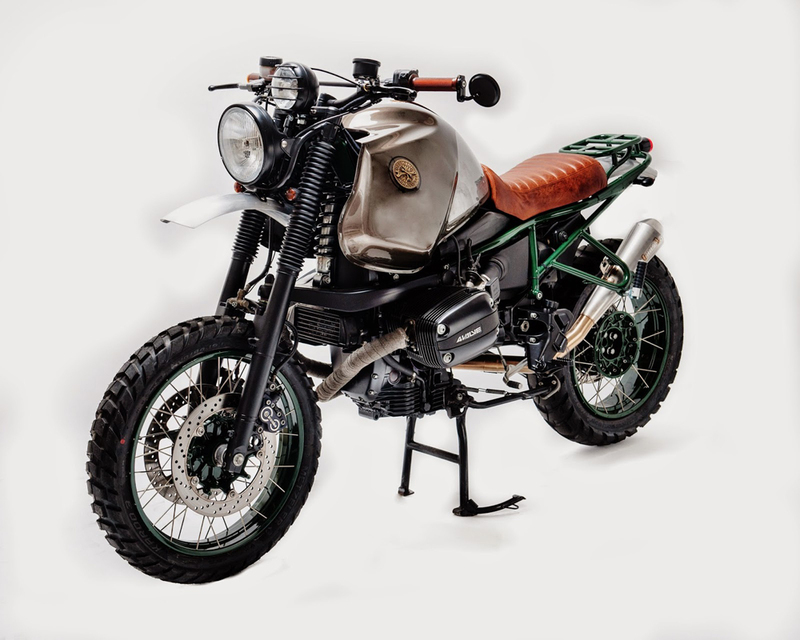 A handsome take on a classic motorbike, the Buldozzer shines with a rich palette of browns, metallics, green, and black.